Zach Myers was born November 7, 1983. He was both born and raised in Memphis, Tennessee. Zach began playing guitar at age thirteen. By fourteen he had a manager, a record deal, and began touring the world. He released two records under the band name Zach Myers Band. Zach also played with bands such as Fairwell, Saliva and Breaking Point. 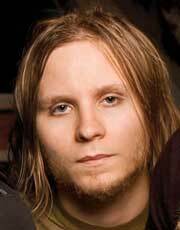 Zach Myers joined Shinedown in 2005. He has played both bass guitar and lead guitar. With influences such as Jimi Henrix and Jimi Page it's no wonder Zach has provided fans an experience like no other.